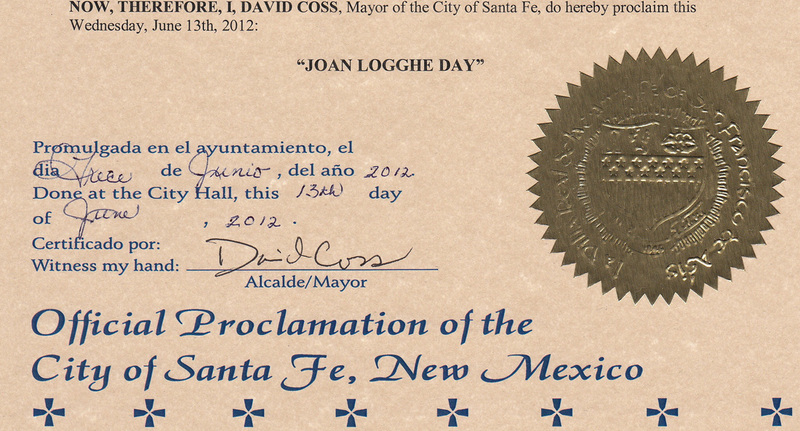 Joan Logghe was Poet Laureate of Santa Fe 2010-2012. 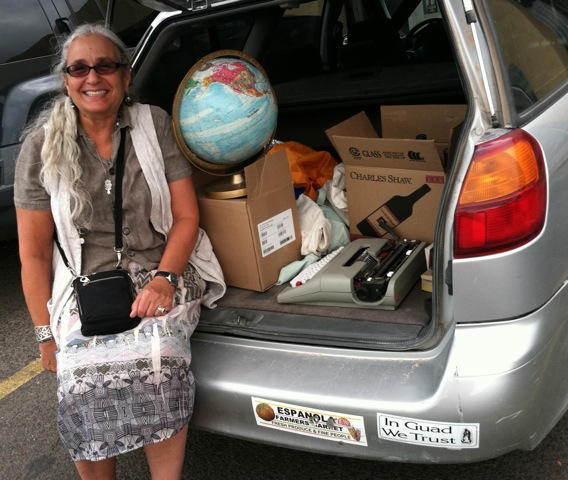 She works at poetry and arts activism in community, off the academic grid in La Puebla, New Mexico. She and her husband, Michael, raised three children and have three grandchildren. She studied at Tufts University where she graduated as Class Poet and won an Academy of American Poet’s College Poetry Award. 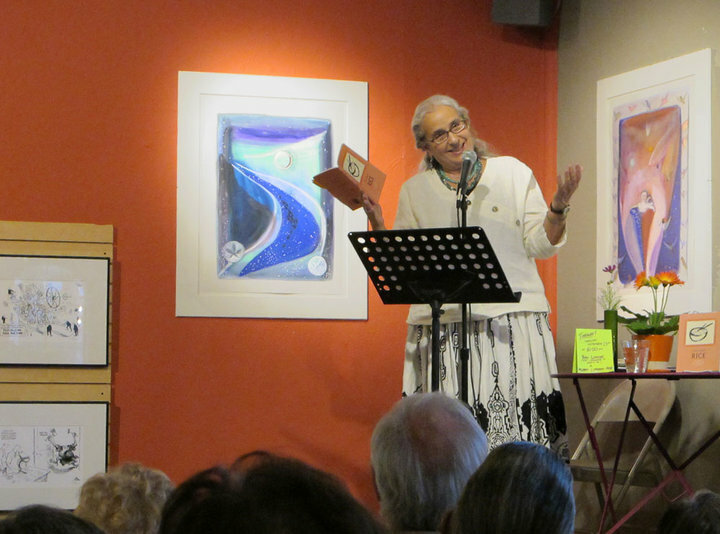 Joan began a life in poetry by volunteering at her children’s school thirty years ago and has worked with children and youth as well as adults, ever since. 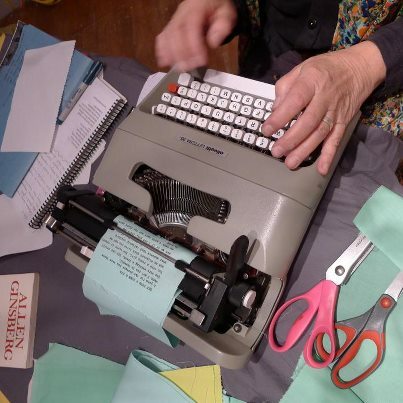 Awards include a National Endowment for the Arts Fellowship, Witter Bynner Foundation for Poetry Grants, A Mabel Dodge Luhan Internship, and a Barbara Deming/Money for Women grant. 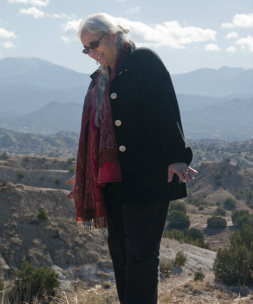 Her teaching life has included Ghost Ranch Abiquiu, University of New Mexico-Los Alamos, Santa Fe Community College, Artworks, Santa Fe Girls’ School, CultureNet’s Poets-in-the-Schools, and Santa Clara Pueblo Day School. 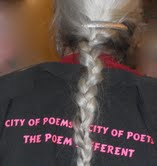 She taught poetry in Bratislava, Vienna, and Zagreb, Croatia in 2004. 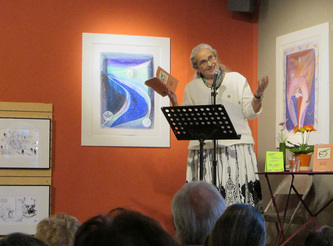 For 13 years, she has served as Poet-in-Residence at Santa fe Girls' School. 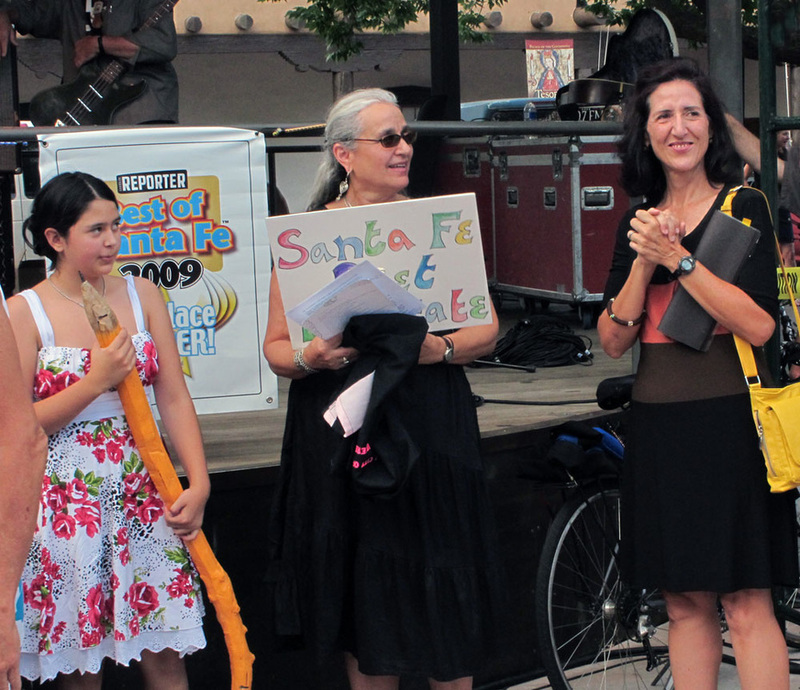 She is the president of New Mexico Literary Arts which aims to inspire & develop the imaginative use of language and to create opportunities for the integration of the literary arts with other artforms throughout New Mexico. Her books include What Makes a Woman Beautiful, Twenty Years in Bed with the Same Man (a finalist in Western States Book Award), Sofia, Rice, and The Singing Bowl from UNM Press. With Renée Gregorio, and Miriam Sagan she is a founder of Tres Chicas Books. 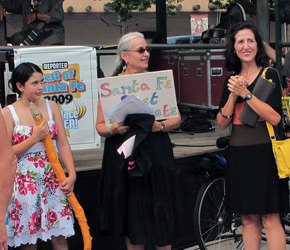 The Singing Bowl from UNM press was shortlisted in three books prizes, and Love & Death; Greatest Hits, Tres Chicas Books won a New Mexico Book award. PoemHolders, a project that emerged while she was Poet Laureate, combine her love of quilts and her secret mission to sneak poetry into everyday life. 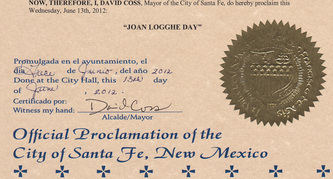 Odes & Offerings, an exhibit matching Santa Fe Poets and visual artists who responded to the poems she curated, opened as her final project for Poet Laureate at the Santa Fe Community Gallery and is forthcoming as a book from Sunstone Press.